Utterly amazed that Canterbury – with four universities, colleges and language schools galore! – doesn’t rank far higher. But then, looking in more detail at your data, you’ve used constituency population data rather than city data, a big big mistake, since only half the population of the Canterbury constituency live in the city, unlike, say, Sheffield. You are right that using city data would have produced different rankings. But we felt that would have been less useful because cities differ so much in size, whereas constituencies (while different) are more comparable. Had we chosen cities, then London would have beaten all other cities hands down, for example. Moreover, many people do not live in cities and we wanted to measure the impact of international students all over the country. So while we respect the fact that you wish we had commissioned a different piece of work, our decision to go with constituencies is not an ‘error’. Canterbury does exceptionally well even doing it constituency-by-constituency. It is number 19 out of 650 constituencies. That puts it in the top 3%. 1. 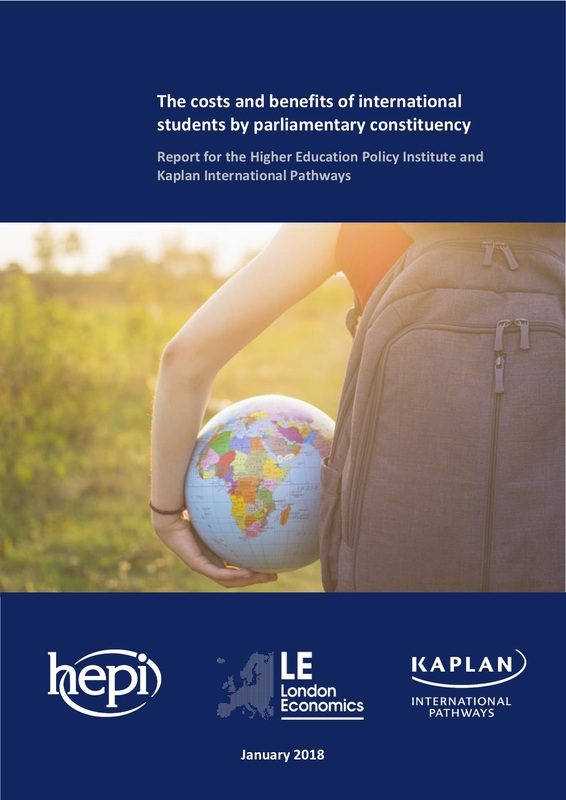 While many people in the Canterbury constituency may not live in Canterbury itself, the international students in Sheffield are spread across a number of constituencies. So, just as it would be wrong to transpose the figure for the Canterbury constituency to a different geographical area, it would also be wrong to assume the numbers for the Sheffield Central constituency equal the impact of all international students in Sheffield. 2. Our study is of higher education students. The preponderance of language schools in Canterbury is therefore not directly relevant to this project, even though it is important to Canterbury and indeed the whole UK.